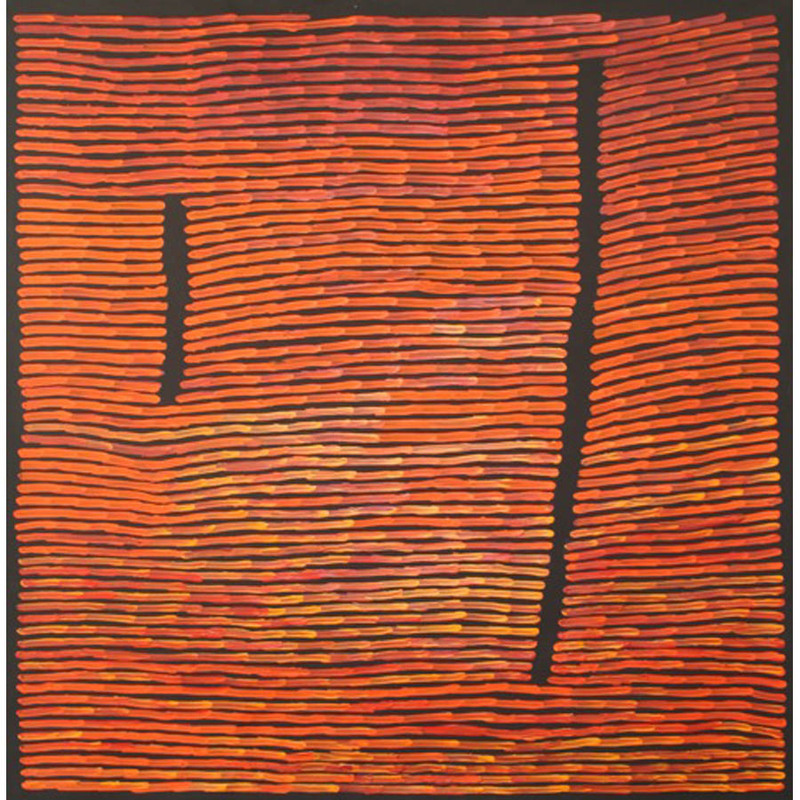 Ronnie began painting around 1974, in the early years of the Papunya Tula Artists movement, with his work focusing (largely) on the Tingari Cycle stories relating to this area. The images can be simply understood as a coded visual language derived from initiation ceremonies. 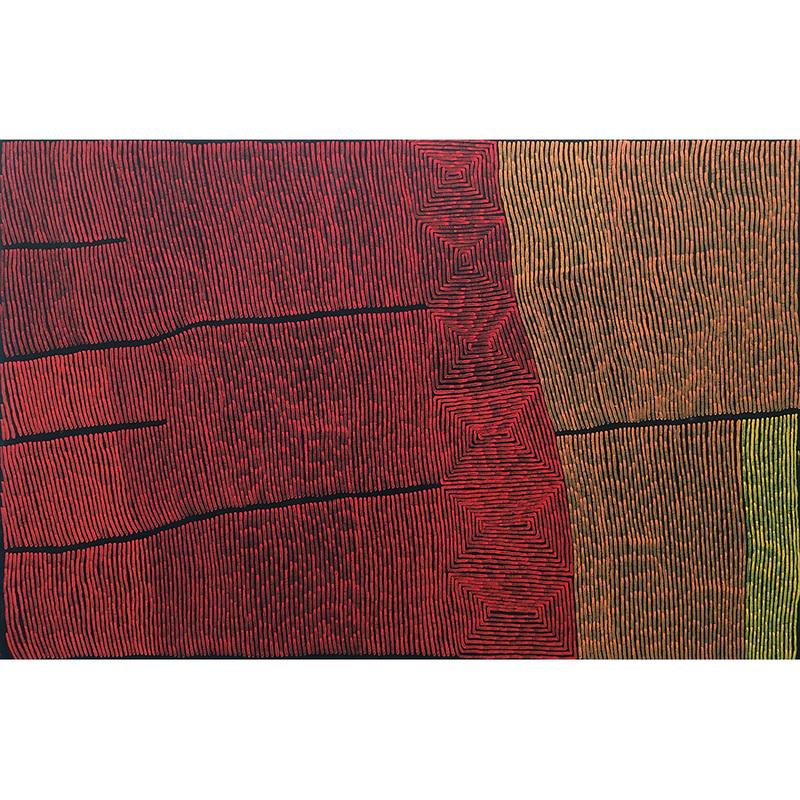 During the 1990s, and through to the present, Ronnie’s work has continued to develop its own vibrant character as he experiments with fresh combinations of motifs, colour and compositional design. 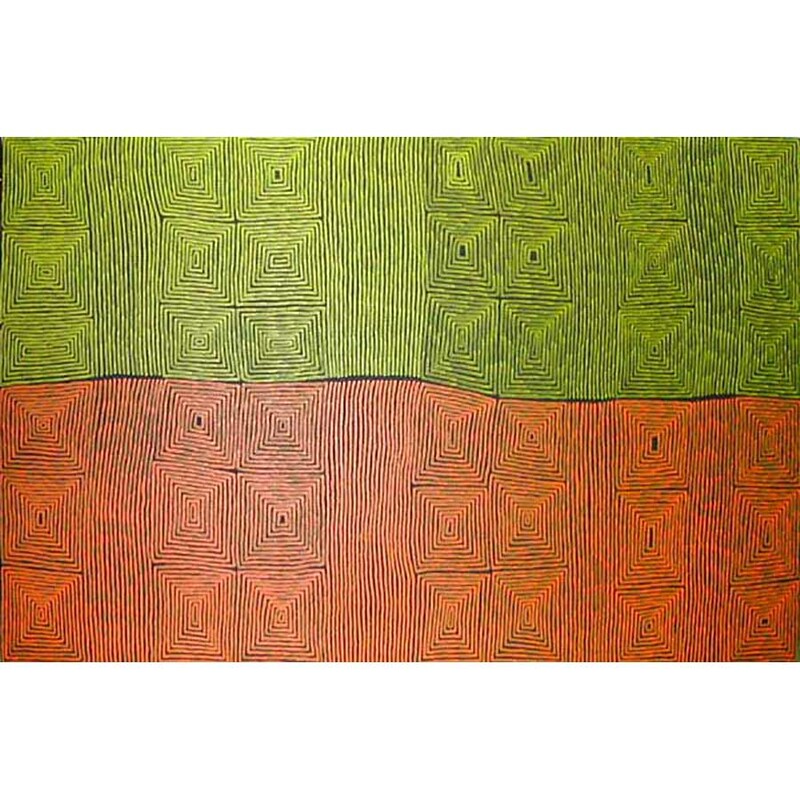 His works are held in numerous private, corporate and public collections, including the National Gallery of Australia, National Gallery of Victoria, Art Gallery of New South Wales, Queensland Art Gallery and Musee des Arts Africains et Oceanies, Paris, France. Fire Dreaming refers to the fire that was used to clean up the evidence of Men's Business or Business Camp. 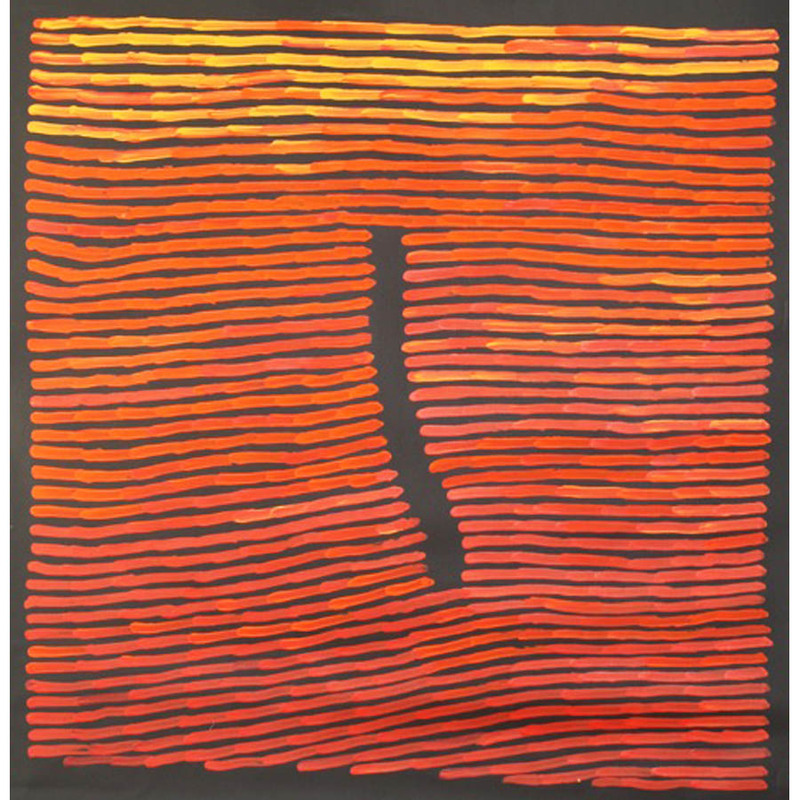 The Bushfire Story is a variation of this, often focusing on pure linear compositions which, whilst startlingly bold and simple, denote the fire moving swiftly through desert scrubland of mulga and spinifex bushes. The paintings are always referring to particular sites such as Lake Mackay or Lake McDonald (English names for the WA border and areas within the NT). 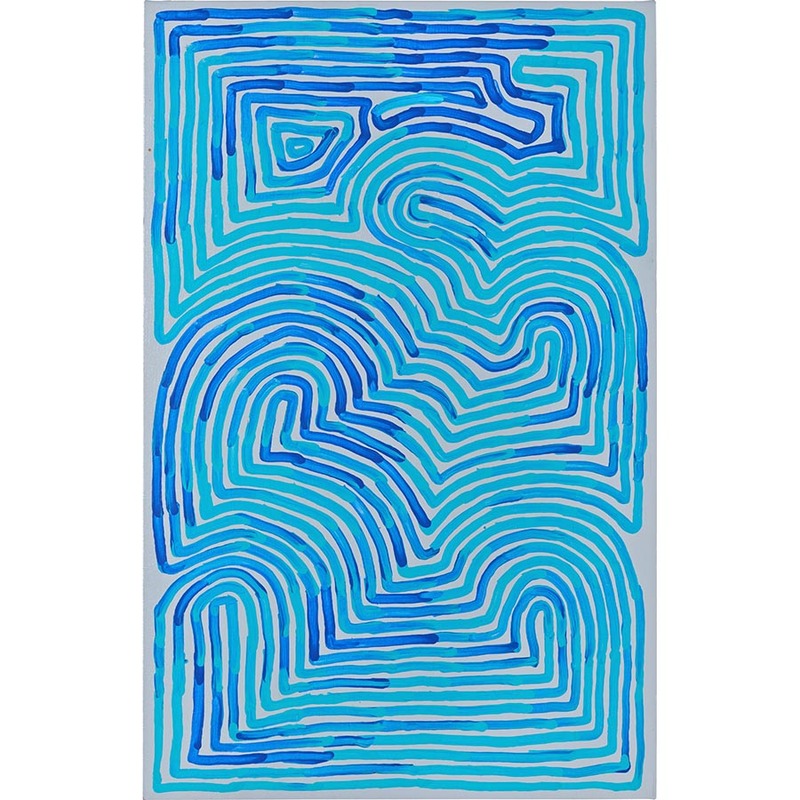 The mapping within these later works is conceptual, not actual. 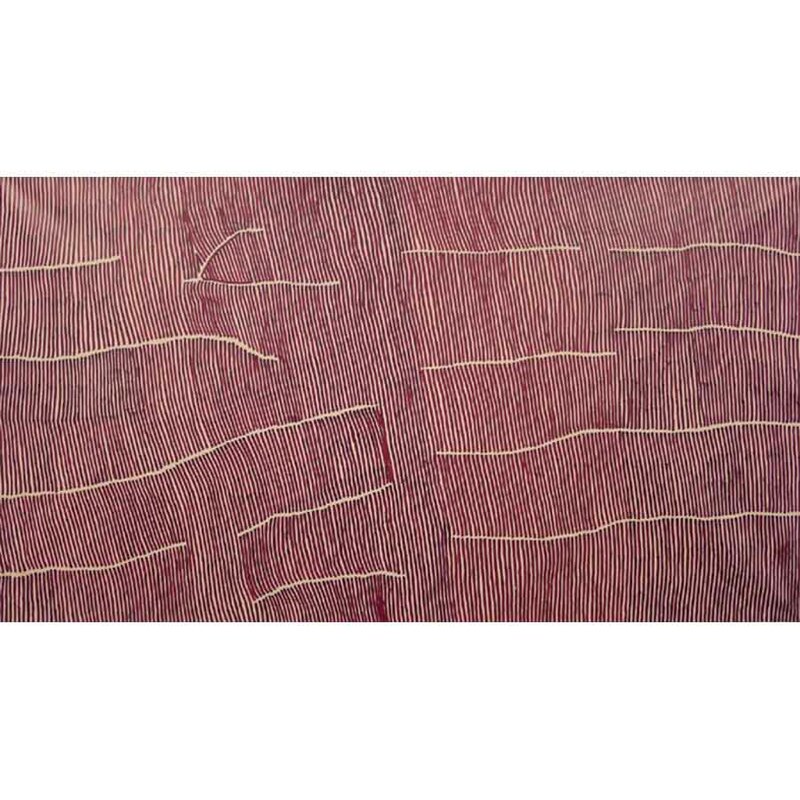 Generally the Tingari are a group of mythical ancestors of the Dreaming, who traveled over vast stretches of the country, performing rituals and creating and shaping particular sites. Novices usually accompanied Tingari men and women, so Tingari represents an education process for the initiated. Their travel and Creation adventures are enshrined in song cycles that are still practiced and performed today, providing explanations of the various teachings. The concentric shapes in these paintings usually represent sites where the Tingari men and women stopped and camped during their travels through sites, which are still of sacred relevance to the Pintupi today. This is not a traditional Indigenous Dreaming, but rather a painterly expression of the artist’s observations within his country. Rain clouds appear, with water hitting mountains and running down the sides to form soakages at the base. With these works the artist extends the traditional manner of how the concentric roundels are painted.